Whether you are a conference group looking for a convenient location, a school group looking for an educational environment, a sports camp seeking affordable rates, or a guest looking for a great place to stay, York University’s short-term accommodations are the ideal choice. All of our accommodation options are located in close proximity to everything you need on campus and are all within walking distance of our meeting and dining facilities. We offer fully furnished, self contained apartments to individual guests or visiting faculty members who are at least 21 years of age, and are conducting some business with York University. Our guest apartments include bed linens, towels, cookware, dishes, private kitchen and washroom, and weekly housekeeping services. 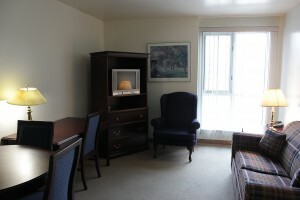 Apartments contain a television with basic cable and personal phone lines with phones provided. The telephone service in every apartment features local calls at no charge and requires calling cards to be used for long distance calls. Internet is not available. The guest apartments are located in the graduate student apartment buildings at the South end of campus. To make a reservation, please contact suites@yorku.ca. All guestrooms feature a queen sized bed, private bathroom, complimentary internet access & Executive continental breakfast. Additional amenities include 24 hour Concierge service, fitness centre, business centre, dry cleaning & in room dining. Full service dining room on site, open for breakfast, lunch and dinner. Standard rate of $149.00 per night. Rates may vary according to season and length of stay. 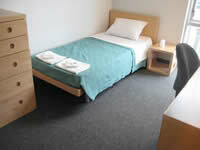 Hotel Standard Accommodation is administered through the Executive Learning Centre at the Schulich School of Business. For further information, or to reserve please click here. If you are looking for our most affordable accommodation option, we offer traditional dormitory rooms in our student residence suitable for groups on a budget. The residence consists of single and double occupancy rooms with large shared washroom facilities on each floor. 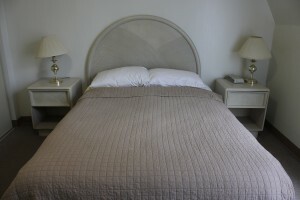 The rooms are furnished with a twin bed, dresser, closet, desk, and chair. Bed linen, towels and soap are provided. All residence buildings are smoke-free environments. You will have access to laundry facilities in your residence. Wireless internet is available in residence. Cooking is not permitted. Rooms are not equipped with telephones. To inquire about the possibility of conference group bookings, please complete our Inquiry Form. Our self-contained suite option offers 2 single occupancy rooms in a suite, ideal for conference guests. Each suite contains a washroom. Bedrooms are furnished with a twin bed, desk, lamp, and large wardrobe. Bed linen, towels and soap are provided. Wireless internet is available in Suite-style rooms. Cooking is not permitted. Rooms are not equipped with telephones. To make a reservation for yourself, please complete our Accommodation Request Form. If you are an undergraduate student and require accommodations for a minimum of 30 nights, then Summer Student Residence is the right place for you. 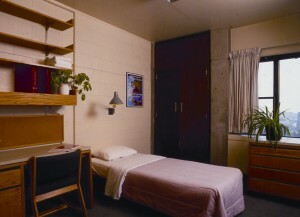 Summer Residence contains traditional furnished single and double dorm rooms, shared washrooms and common lounge. Floors are mixed-gender, including the shared washrooms. 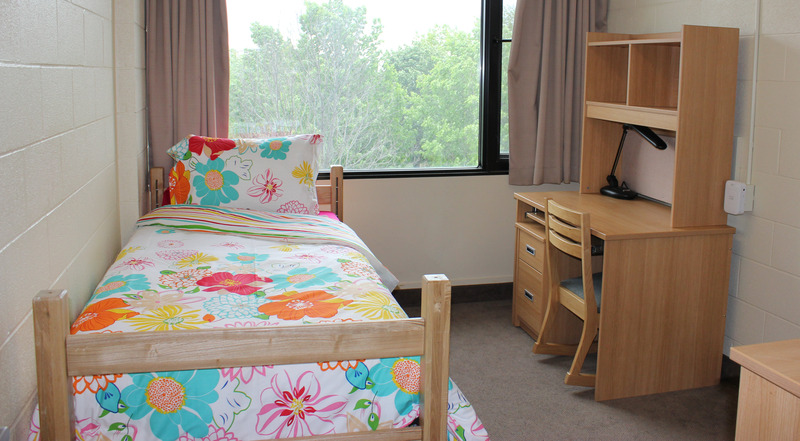 Summer Residence rooms do not have air conditioning or access to kitchens. Students may purchase food at several campus food outlets. Students may keep a small refrigerator in their room and rental information can be provided upon request. 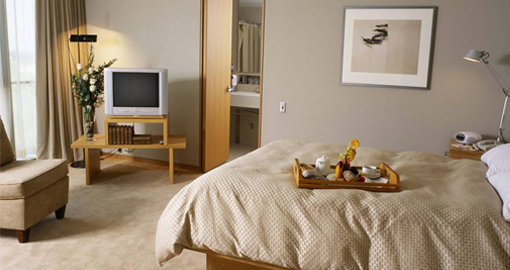 Bedrooms are furnished with a single bed, desk, bookshelf, chair, dresser and closet. Students must supply their own bed linens, pillow, towels and toiletries. Students will have access to a common lounge equipped with a television with basic cable. There are no in-room phones, however the option to subscribe to telephone service for an additional fee is possible. Students may order in-room cable TV for an additional fee. Basic cleaning service is provided in the common areas of the residence, however students are responsible for cleaning their own rooms, and for cleaning up after themselves in all of the common areas. Summer Residence has a laundry room with YU-card operated washers and dryers. Summer Students will be assigned a mailbox. Mail is delivered daily Monday through Friday. If you are York undergraduate students who wish to apply for 2019 Summer Residence, please visit the Summer Residence website for more information and to apply. If you are non-York University students who wish to apply for Summer Residence, please visit the 2019 Non-York Student Summer Residence for more information and to apply here. If you have any questions please contact summeres@yorku.ca.